Consumers will likely find fewer choices and higher premiums on their Obamacare exchanges next year, as insurers grapple with the Republicans' quest to dismantle the law, a new Kaiser Family Foundation report has found. The number of carriers that filed to participate next year dropped to an average of less than five. That's down from an average of just over five this year, and a high of nearly seven in 2015. Kaiser also sought to quantify how much insurers were boosting rates to guard against the uncertainty fueled by the Trump administration. 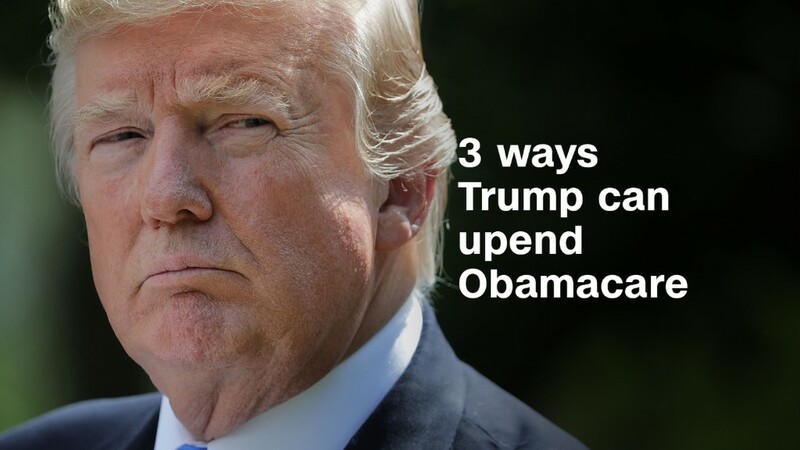 The vast majority of carriers mentioned this concern in their rate requests, with some specifying the impact if the Trump administration were to stop enforcing the individual mandate or discontinue paying a key set of Obamacare subsidies. 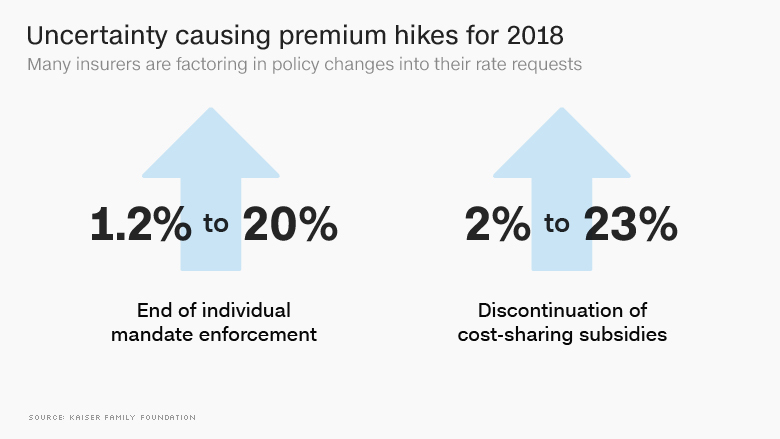 Insurers that assumed the individual mandate would not be enforced added between 1.2% to 20% to their premium requests. The mandate -- which requires nearly all Americans get coverage or pay a penalty -- is key to encouraging younger and healthier consumers to enroll. Carriers that assumed the cost-sharing subsidy payments would be discontinued requested an additional 2% to 23%. The payments, which go directly to insurers, reduce the deductibles and co-pays of lower-income Obamacare enrollees. They are also at the center of a court battle between the House and the Trump administration, which inherited the lawsuit from the Obama administration. "While the market was starting to stabilize this year, the uncertainty about how the Trump administration will approach the program is driving rate increases higher, and in some cases, pushing insurers to exit the market," said Larry Levitt, a senior vice president at the non-partisan research group. 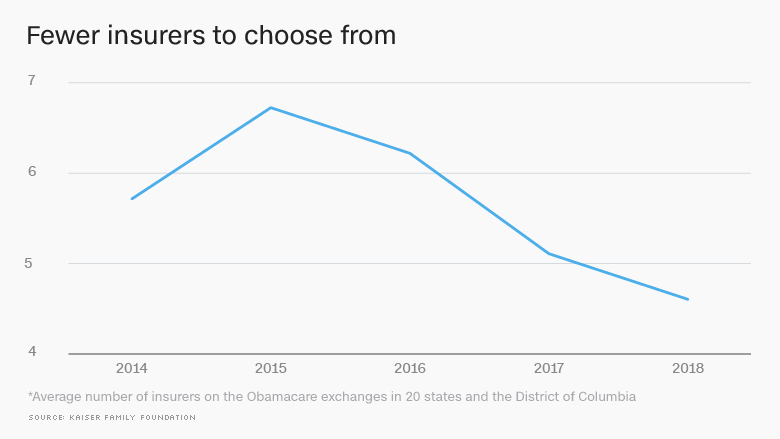 The Trump administration said that insurers were hiking premiums and leaving the market before they took charge, which is why Obamacare must be repealed and replaced. "Since Obamacare went into effect under the previous administration, skyrocketing healthcare costs and fewer choices have become the norm," said Alleigh Marré, national spokeswoman for the Department of Health and Human Services. "This analysis confirms what we already knew - Obamacare is flawed, failing, and harming the American people." Kaiser, which looked at insurer filings in 21 major cities, warned that these findings may change. Insurers have until Aug. 16 to amend their rate requests and until Sept. 27 to commit to participating next year. Some insurers said they would raise their rates by an additional 3% to 10% if the cost-sharing question remained unresolved or if the payments end by the filing deadline, Kaiser found. Requested premium increases for the benchmark silver plan, upon which premium subsidies are based, vary widely by city. They range from a 5% decrease in Providence, Rhode Island, to a 49% spike in Wilmington, Delaware. Most Obamacare enrollees, however, won't feel these rate hikes. Some 84% receive federal subsidies that reduce their premiums to less than 10% of their income. Next year, a single adult earning $30,000 a year will pay $201 a month for coverage regardless of the sticker price. However, about 6.7 million people who buy coverage in the individual market could be hit by these premium spikes since they don't qualify for federal subsidies, according to a separate Kaiser analysis, which first appeared in Axios Thursday.